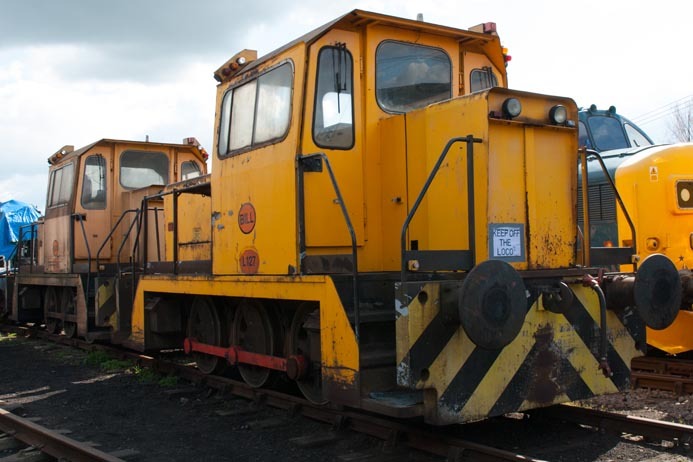 This English Electric 0-6-0 diesel hydraulic shunter was built at the Vulcan Foundary in 1967.In 1996 it was rebuilt by Yorkshire Engine and went to Thames Steel Ltd Sheerness Steelworks on the Isle of Sheppy. Here it given the name Bill and the number L127. 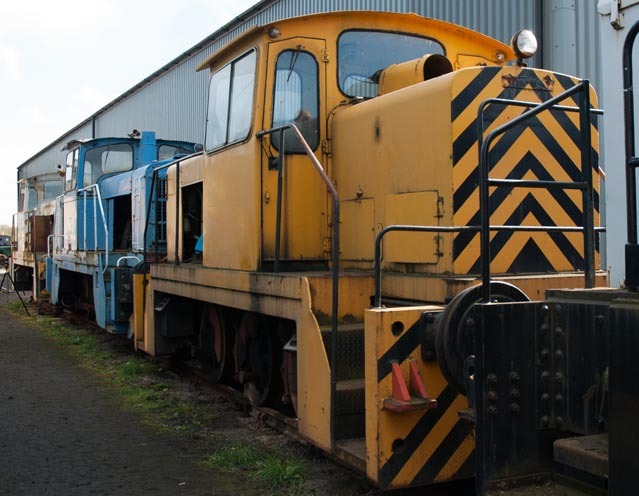 It is seen here at at Barrow Hill in April 2012 in all over yellow with yellow and black warning wasps just on the buffer beams. 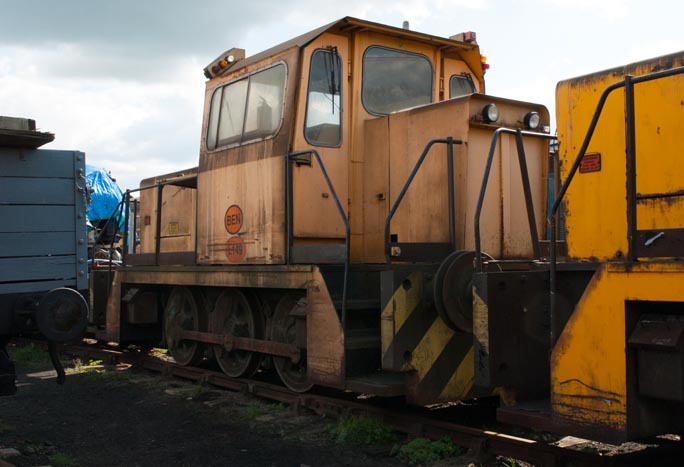 L149 named Ben a 0-6-0 diesel hydraulic shunter also from the Sheerness Steelworks at Barrow Hill in April 2012. This locomotive was next to L127 above and looks as it was also a rebuilt by Yorkshire Engine . 0-6-0 with no number or makers plate at Barrow Hill also in April 2012.